Percentage of population living on less than $1 a day. Comfort eating is a very effective way of getting some instant pleasure when the burdens of the world become just a little bit too much. I would venture to say that almost every rich world citizen does this from time to time. However, breaking this habit can bring tremendous benefits both to you and your society. And this is where hunger busters come in. A hunger buster is something that is healthy, filling, at least reasonably tasty and very convenient to eat. And the idea of a hunger buster is that you simply load up on these healthy foods whenever you feel an irrational food craving and then just sit back as the craving fades away. This concept has really helped me a lot and I definitely recommend that you try it. My personal arsenal of hunger busters include water, fresh fruits, some full corn rye cakes that go very well with tea, instant oats and, most importantly, my favorite green drink. I make sure that these things are always instantly available within my healthy nutritional environment so that I can immediately bust any irrational food cravings that might suddenly attack. You don’t have to succumb to every irrational food craving that comes your way. Build up a strong arsenal of hunger busters and you’ll be fighting off these evils in no time. Instant oats?I love them but feel so guilty if I tuck into them for a snack.Somehow my brain screams that oats are an extra meal like another breakfast and that I’m being greedy and eating too much. Nah, I would not worry about eating oats. It is a widely recognized superfood with lots of health benefits and is especially suited for use as a hunger buster since its low GI and high soluble fiber content will help you feel full. As long as you do not put a lot of sugar in your oats, you should be fine. I always sweeten my oats with berries to add some more taste and even more health benefits. That’s good to hear.I use a little milk or often just water to cook my Quaker Oats.And no sugar.I have given up added sweeteners in all my foods except sweets and nowadays I make sweets only on festivals.And even then I only have a small piece or two and give away the rest. 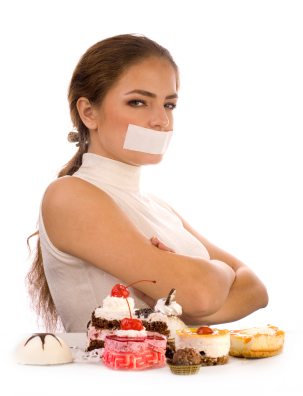 I’m struck by how the teeth of people with a sweet tooth suffer much more as they age……. Yes, sweet things in excess are pretty dangerous. I must admit that I have a pretty sizable sweet tooth as well, but luckily my healthy environment protects me against this weakness of mine. Yes especially as I love making them.